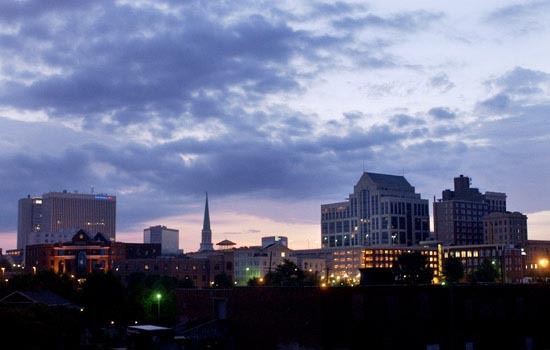 The Greenville, Spartanburg & Anderson corridor along Interstate 85 in South Carolina boasts more engineers per capita than any other area in the United States. That’s a considerable amount of engineers considering the population of the area surpasses 1,000,000 residents. Mega engineering firms and industrial conglomerates dot the region and service the world’s growing appetite for heavy industrial development. Structural Innovations Engineering & Consulting, PC is proud to offer our structural inspection services to this corridor of innovation. Structural Innovations Engineering & Consulting, PC is proud to serve the Upstate region of South Carolina. We provide our full range of structural inspection services including single-family residential inspections, FHA / VA foundation inspections for manufactured homes, commercial structural inspections, as well as, inspections of concrete & steel framed parking decks. Our structural engineers follow all South Carolina Building Code and industry standards for conducting on-site structural inspections. You can be confidant that you will get a thorough structural inspection that covers all major structural component of your building, and a detailed follow-up report that address any items requiring a structural repair.